EAST AURORA, N.Y.--(BUSINESS WIRE)-- Astronics Corporation (Nasdaq:ATRO), a leading provider of advanced technologies for global aerospace, defense, and other mission-critical industries, announced today that Astronics and HAECO Cabin Solutions have collaborated to jointly integrate SmartTray® passenger electronic device (PED) holder technology for inclusion on HAECO’s Vector™ economy seats’ in-arm tray tables. 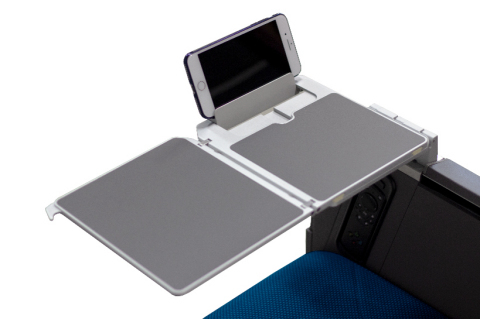 Note to editors: Astronics will display the SmartTray at AIX April 2-4 in Stand 3B30. Please schedule your appointment for a briefing by emailing press@astronics.com.